In spite of the amazing progress scientists have made in the field of space exploration, the quest to conquer the unknown continues to challenge the human spirit. From computerized telescopes to hypersonic planes to solar flights to the conquest of Mars, scientific experts from around the globe are working together to increase knowledge of the vast space surrounding our world. Isaac Asimov’s Library of the Universe appeals to readers of all ages. 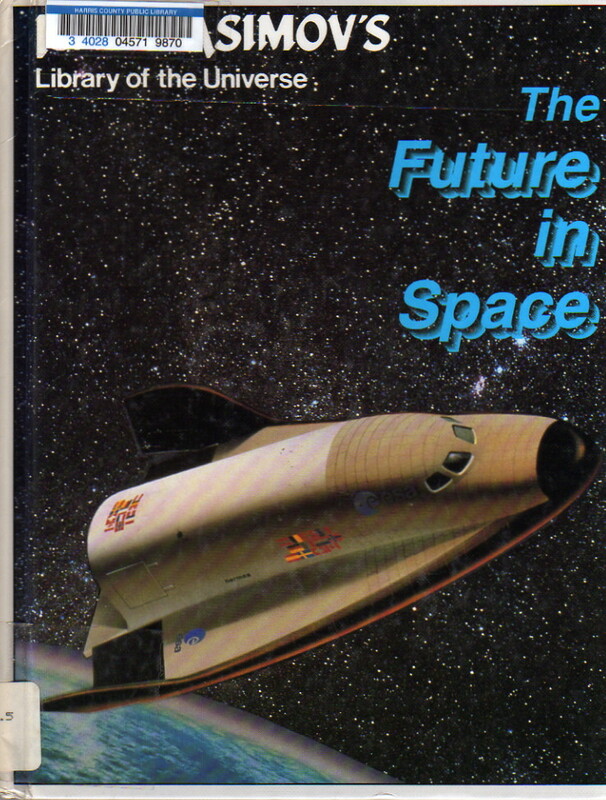 With the help of Robert Giraud, The Future in Space draws upon Asimov’s characteristic wit, clarity of style, enthusiasm, and enormous knowledge of space and science to introduce the wonders of the Universe to young astronomers. Actually, I don’t think this book is by Asimov and it will probably be striken from my list. It’s a translation of a French book co-authored (at least) by one Robert Giraud and published in English some eighteen months after Asimov’s death and long after the other books in the series containing it. That said, it’s OK and I have no real objections to the book per se. Set it before children who want to know what lies in store for space exploration (well, set the revised version before them, anyway). But I really think it’s been mis-labeled in terms of authorship.